The adidas Yeezy Boost is releasing tomorrow, February 21st exclusively online at adidas.com. Kanye’s latest foray into footwear will also see the Yeezy Boost made available on February 28th worldwide at adidas Consortium accounts as well as adidas Originals Flagship stores in Berlin, Seoul, London, and Shanghai. Then, on March 26th, the Yeezy 3 will arrive in Europe through select Footlocker EU stores and the adidas Yeezy Boost Restock will also hit adidas Originals Flagship stores in both Berlin and London. It looks like Kanye’s word that the adidas Yeezy will be more available to the public this time around was correct. 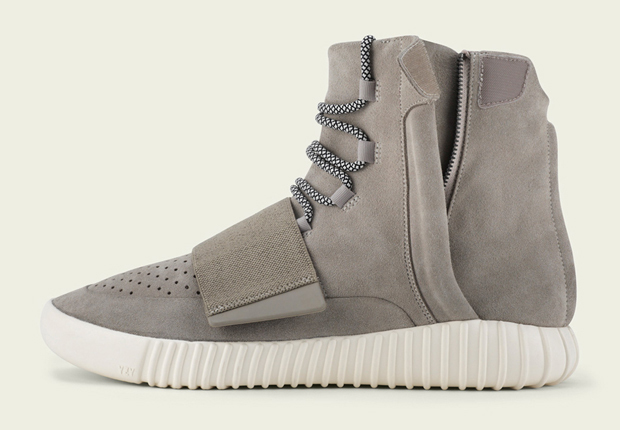 Check out more information on the Yeezy Boost Restock below. Below is the Official adidas Yeezy Boost release info directly from adidas. No additional information regarding the time of the release has been made public. On February 28, the YEEZY Boost will be made available worldwide to adidas Consortium accounts as well as at the adidas Originals Flagship Stores in Berlin, Seoul, London and Shanghai. On March 26th, limited pairs of the YEEZY Boost will be available in Europe through selected Footlocker Europe stores with a restock in the adidas Originals Flagship stores in Berlin and London, as well as on adidas.com exclusively in Europe.